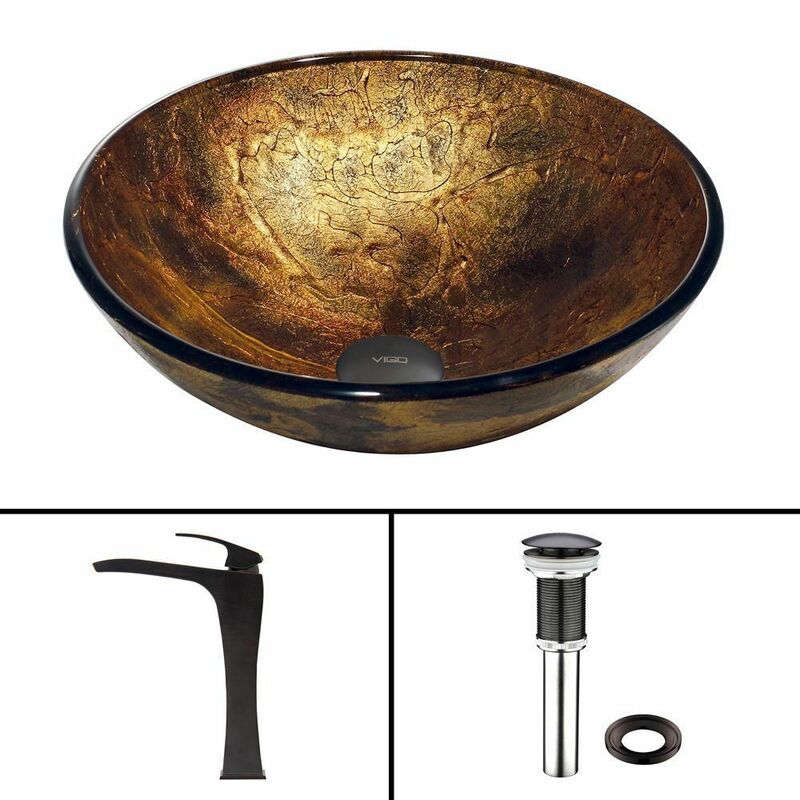 Glass Vessel Sink in Copper Shapes with Blackstonian Faucet in Antique Rubbed Bronze is rated 5.0 out of 5 by 1. Rated 5 out of 5 by macewindoo from Love it! Purchased this to upgrade our bathroom. The shape and beautiful colors create a warm elegance. I like that the faucet has a slight waterfall effect also.